Keep your money and bank cards secure with this slim travel wallet to prevent thieves from stealing personal information. 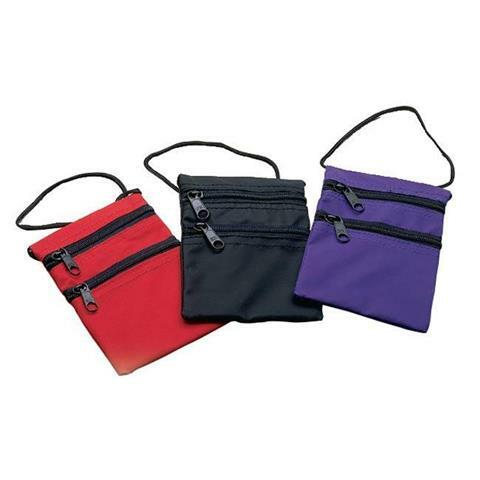 Wear it around your neck or under clothing to keep it hidden from would-be pickpockets with two zip compartments. So when you think about it, pickpockets typically look to steal from those who look like they have something to lose. With a wallet like this, no thief in their right mind would think you would have anything of value to pluck. This extraordinarily bland wallet serves as the perfect deterrent for the average well mannered criminal. After all, when have you ever seen a thief in a movie go after something like this?